Israel’s tightened blockade of a million and a half Palestinians in the Gaza Strip is now entering its third week. On Monday the Israeli Navy seized 15 Palestinian fishermen and three international activists off the coast of Gaza. The fishermen were released but the activists remain in an Israeli jail. 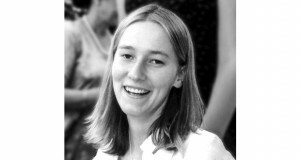 We speak to Darlene Wallach from inside the Masiyahu prison near Tel Aviv. Israel’s tightened blockade of a million and a half Palestinians in the Gaza Strip is now entering its third week. Tel Aviv rebuffed calls Thursday from United Nations Secretary General Ban Ki Moon to re-open the crossings into Gaza for humanitarian aid. Israeli government officials cited continuing Palestinian rocket fire as the reason for closing the crossings. Residents of Gaza are running out of essentials like food, medicines, and fuel as a result of the almost continuous blockade imposed November 4th. Meanwhile the 15 Palestinian fishermen seized by the Israeli navy off the coast of Gaza were released Wednesday. The three international volunteers accompanying the fishermen however remain in a prison near Tel Aviv. 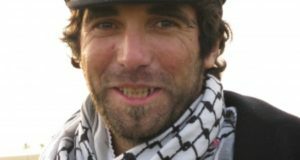 American Darlene Wallach, Italiani Vittorio Arrigoni, and Scottish Andrew Muncie had arrived by boat into Gaza in late August as part of the first Free Gaza delegation. 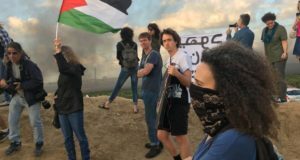 They remained in Gaza working with the International Solidarity Movement alongside Palestinian fishermen, documenting any harassment by the Israeli navy. The three internationals are reportedly beginning a hunger strike today to protest their detention. They are also demanding that the Israeli navy release the Palestinian fishing boats they confiscated this week. U.S. citizen in Israeli detention Darlene Wallach joins me now on the telephone from inside the Masiyahu prison near Tel Aviv.